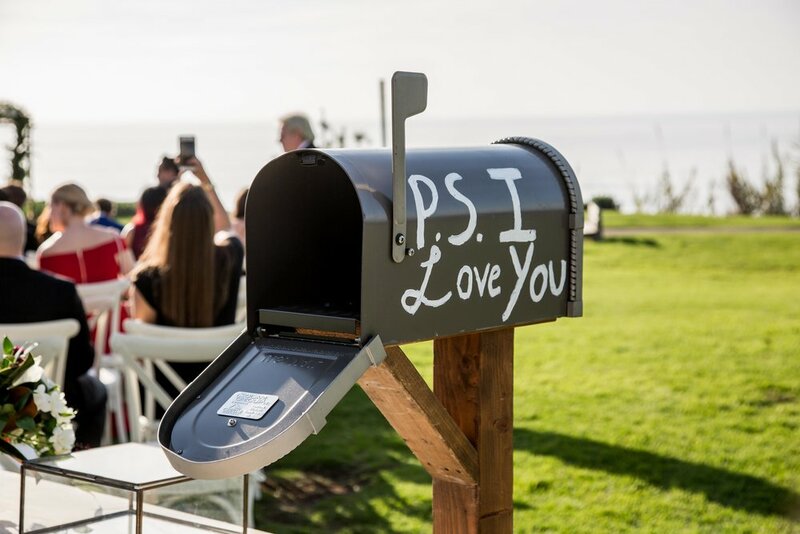 Nothing brings out the holiday season at a wedding quite like pinecone centerpieces, warm fleece blankets, a hot coco bar, and the Pacific Ocean. 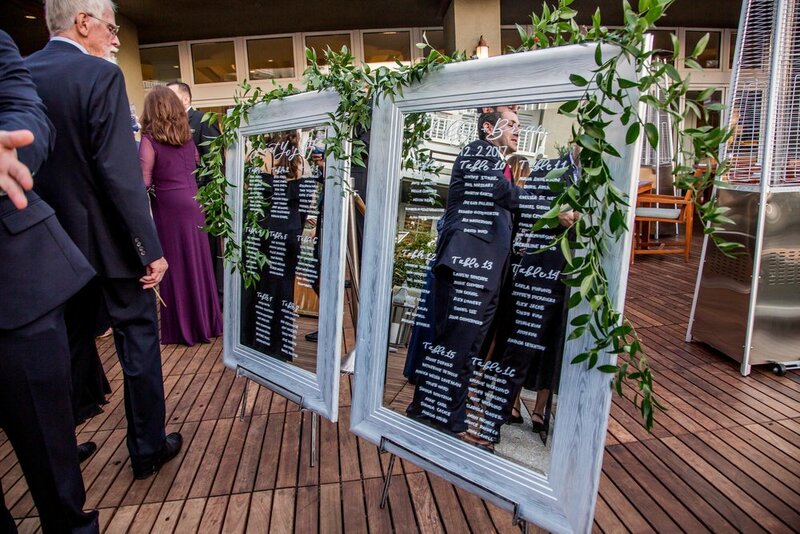 On a beautiful and cloudless December Saturday, Eilly and Brian said, “I do,” not only marrying each other but also bringing together the perfect harmony of the holiday season with a Southern California twist. With a backdrop of the Pacific Ocean to set the tone at the esteemed and intimate L'Auberge Del Mar, Eilly and Brian recited their vows at Seagrove Park which overlooked the ocean under the most beautiful flower arch provided by Isari Flower Studio and then treated their guests to the iconic view for the rest of the evening by having cocktail hour and dinner on outdoor terraces at the hotel. Pinecones, silver decor details and flourishing greens decorated the reception tables. 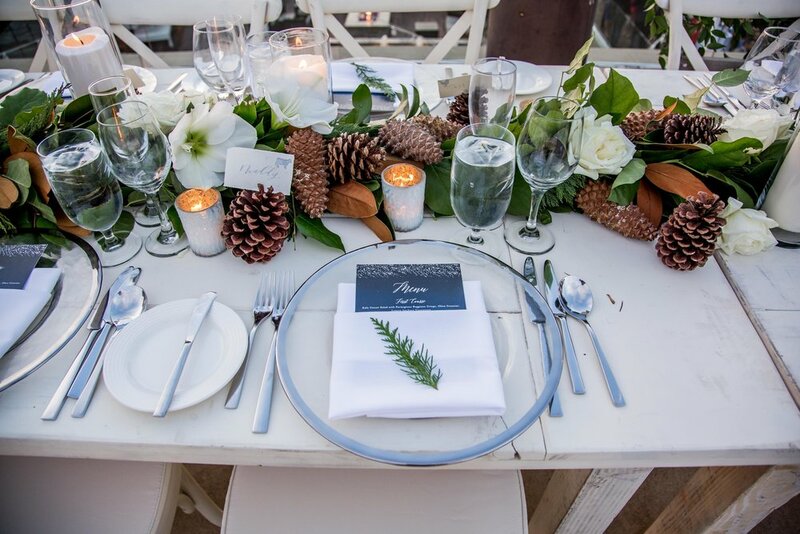 Each place setting had a detailed menu card with a sprig of winter greens on top. Every tiny detail came together perfectly and it was truly a winter wonderland dream. There were even baskets of monogrammed blankets in case their guests got cold during dinner. 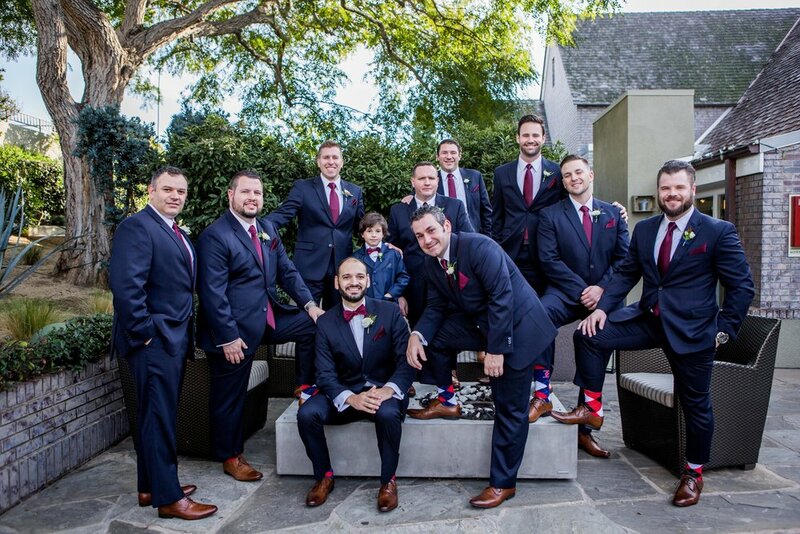 The beautiful reds of the bridesmaid dresses and ties worn by the groomsmen was the perfect pop of color tying together the holiday spirit. As the crowd warmly greeted the couple at the grand entrance under the flicker of sparklers, Eilly and Brian were surrounded by love so deep from their friends and family that heating lamps weren’t necessary. The soft market lights and glow of the candles highlighted the beautiful pinecone runners and name holders that were surrounded by the sweet white of roses reminding guests “tis the season to be married”. 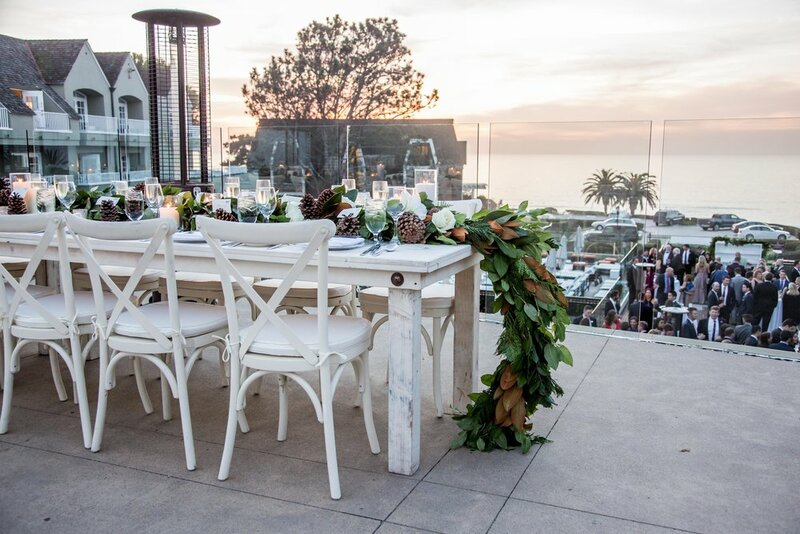 The crowd forgot about the cool December night by the time they entered L’Auberge Del Mar’s beautiful ballroom and were greeted by a live band, hot coco bar, and enough desserts to make even Santa jealous. After the bride changed into a pair of more comfortable shoes, the guest continued to rock the night away.